Mother Nature lends a hand for a memorable rehearsal dinner feast on Craigville Beach. One of the best things about planning a rehearsal dinner on Cape Cod, Martha’s Vineyard, or Nantucket is that you usually don’t have to worry about decorations, or the setting of your event—Mother Nature often does that for you with effortless natural beauty. A rehearsal dinner in a coastal setting also makes it easy to choose the menu for the evening. 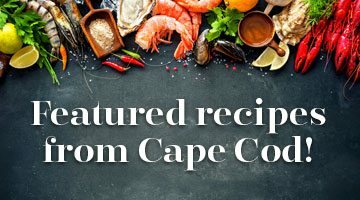 What could be better than an old-fashioned clamboil, complete with fresh local fare from land and sea? Last September, my husband and I were reminded just how lucky we are to live on Cape Cod when we hosted a rehearsal dinner for our son and his bride at The Beach Club in Centerville. Just a good Frisbee throw from Nantucket Sound, The Beach Club offers old-fashioned elegance with a spacious dining room wrapped around with windows and a big deck offering spectacular views. The sunsets here are famously beautiful, which is one reason why the club is a favorite with brides for both rehearsal dinners and wedding receptions. On the autumn night of our rehearsal dinner, Mother Nature did more than cooperate: the night was full of natural splendor. It rained in the late afternoon just as the bridal party left their wedding rehearsal at West Barnstable Parish Church. The bride and groom ran into The Beach Club through the rain, ready for pictures on the deck with our photographer, Stacey Hedman.